7 Reasons to Subscribe to Netflix - A Rose Is A Rose Is A Rose! A second back to back post on Netflix! I am sure this thought must have crossed your mind on reading the title. Well, let me assure you that this isn’t a sponsored post. If there’s one bill I am happy to pay, it’s that of my Netflix account. I am watching movies and series on Netflix since the last 6 months and couldn’t be happier with the service. 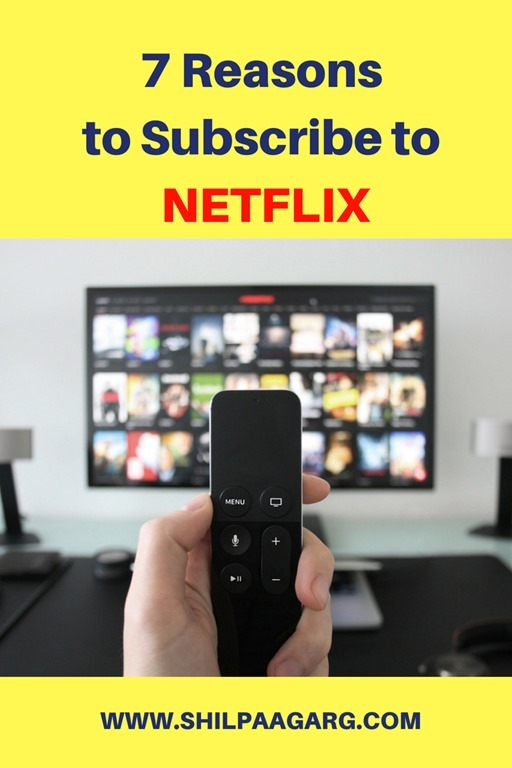 In this post, I am sharing why I love it and why you should subscribe to Netflix too. #2 Convenient : You can watch all the episodes of a TV series one after the other, so you can watch it in entirety. The episodes are listed one after the other, so there isn’t any hassle of searching for them. Also you can watch it on your TV, PC, Laptop, Mobile, Tablet and more. So This means that I can watch a show on my laptop and my son can watch a movie of his choice on the TV or his mobile. So, no more fights for controlling the remote. #4. No Advertisements : Yes, you heard it right. No advertisements. It’s just pure entertainment without any distraction. #5. Spot On Recommendations : Based on the my ratings for the show or movie and viewing history, Netflix suggests the content that it thinks I’ll like. The thing is that the more you use Netflix, the more relevant your suggested content will be. And the recommendations are usually spot on! #6. Unedited Content : You get to see 100% unedited version of the movie/show with no bleeps and cut scenes. Also there are Netflix Originals which are shows that are only aired on Netflix. #7. 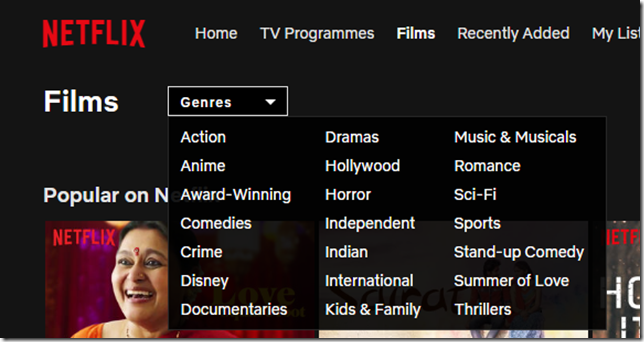 Value for Money : With three different subscription packages ranging between Rs 500-800, Netflix is pretty reasonable when you consider the number of shows/movies you can watch. The best is that you have a month-long trial offer. During the trial, you can watch as many movies and TV shows as you desire, giving you ample time to assess whether the service works for you or not. I love watching movies and series on Netflix! Do you have a Netflix account? What is your favorite part of the service? Do you think it’s worth the investment? I love Netflix, for all the reasons you mentioned above. 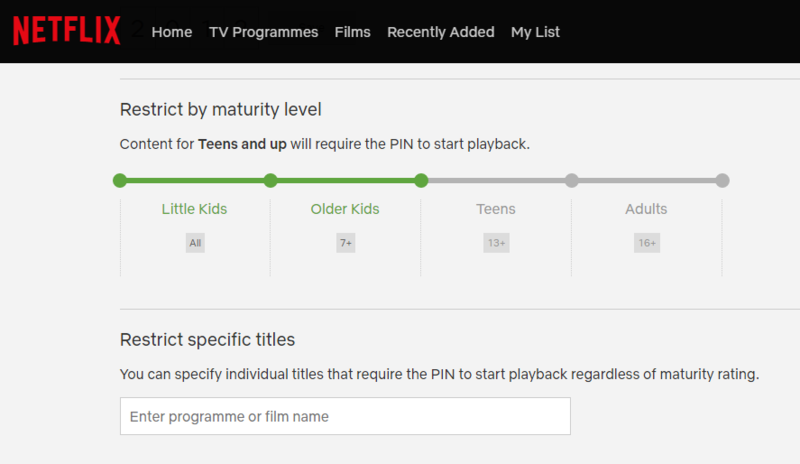 However I haven’t explored the parental control feature yet, will do so now. I think I should try Netflix if only to get some quality program to watch. Thanks for sharing this. I am sure the good movies and original programming will make me a fan. 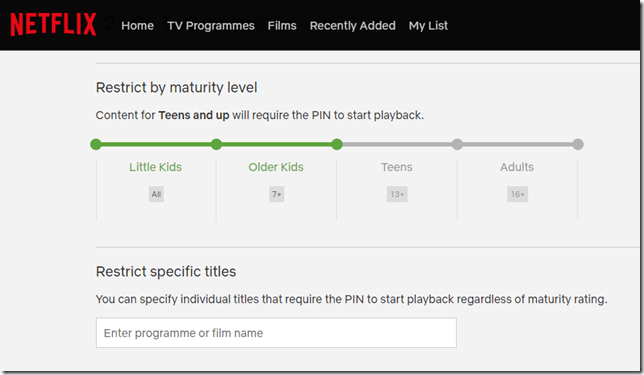 One of the biggest pluses of Netflix is parental control. I don’t get yo watch Indian movies a lot but nowadays, lot of Indian movies are coming on Netflix. I was dumb about Netflix. But your post made me wise to know about the reasons to subscribe for Netflix. Thanks for inspiring me. Very tempting, I’ve been considering this, Shilpa. I think I’m sold on it. I’m not much of a TV watcher so even though I’ve subscribed to netflix I haven’t seen a single movie or show. My kids on the other hand use it all the time. Is it? I mean its quite affordable then! I dont get time for watching TV so I guess such subscription will work for me. I have had Netflix subscription for some time. Since I didn’t have much time and patience to watch movies and series, I got it disconnected. I think I am doing okay without having it in life. Surely looks worth the deal with such unlimited variety of entertainment. I heard many reviews and recommandations for Netflix. But I think I couldn’t give time to watch, because I generally don’t watch TV and all. Then I think Netflic is not suitable for me as a Blogger. Loved the post. Very informative post on Netflix. I guess, I really should be trying Netflix out. At home, apart from my daughter’s cartoons during her watch time & some occasional news & movies, the TV is barely there. 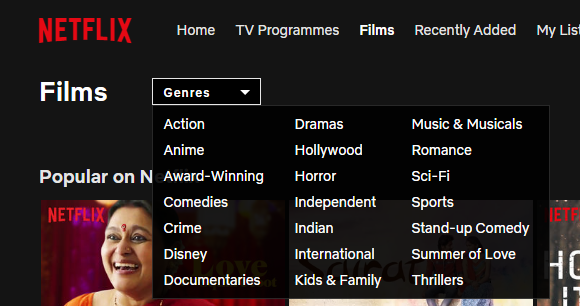 🙂 With the kind of content Indian media produces for television, Netflix is probably going to be a game-changer. 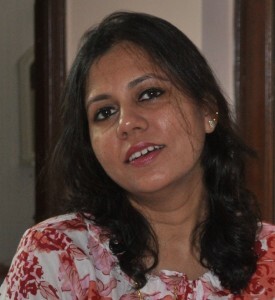 I love this post, Shilpa & it prods me now. I love Netflix. It has amazing list of movies and series. Apart from that the most important point is no advertisement. I simply love that. This is truly value for money. Parental control is one of the best options available. We love Netflix at home, thankfully there’s something for the sane minds who cannot stand the saas bahu serials! Finally, after resisting I have decided to go for the basic Net Flix plan this month and can’t wait to catch on the interesting sitcoms. It sounds quite like the platform where viewers will be spoilt to no end and no dearth of choice. Thanks, Shilpa.